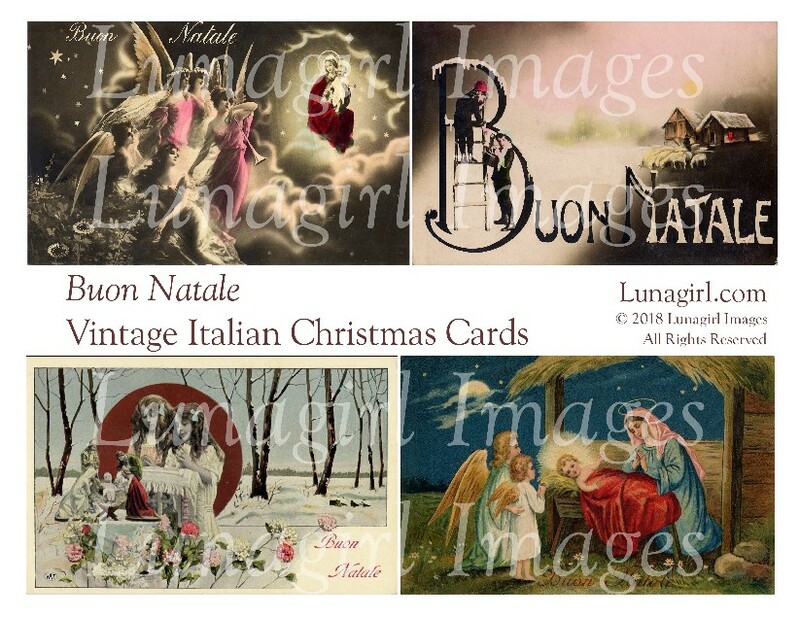 Lunagirl Moonbeams by Lunagirl Vintage Images: Vintage European Christmas Cards, New! 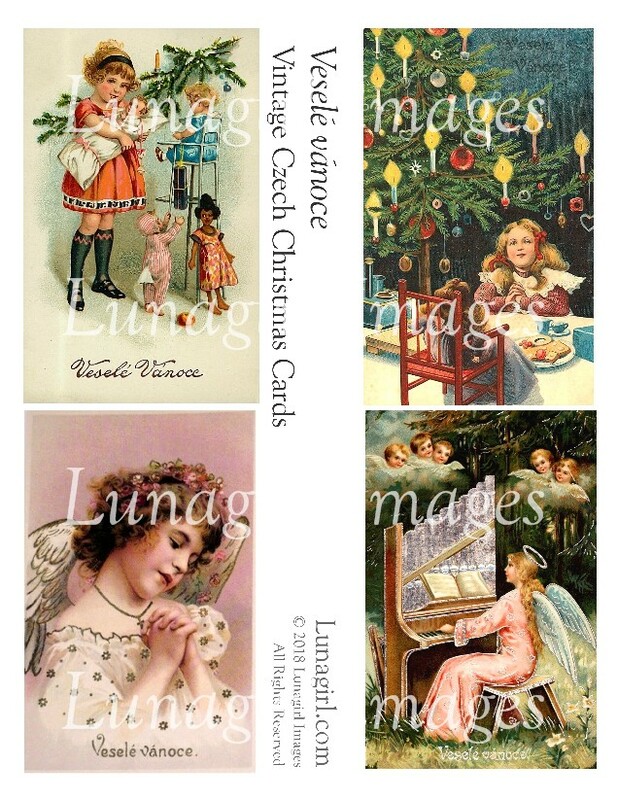 Vintage European Christmas Cards, New! 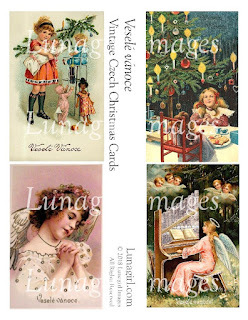 Continuing to share the new digital collage sheets I've created using vintage Christmas cards I've collected. 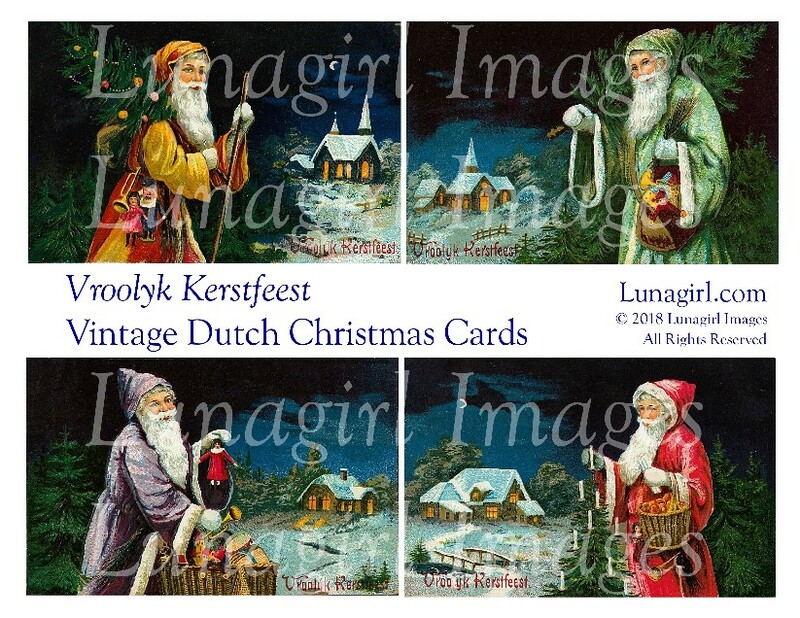 Most of what I have are French and German, but here are some from other countries. 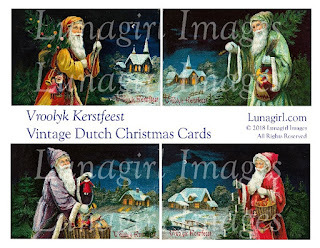 Dutch Santa Claus on a snowy night, Czech holiday cards featuring sweet angels and children, Scandinavian Christmas cards with greetings in Danish and Swedish, and serene vintage Christmas greetings in Italian (with mostly religious themes). 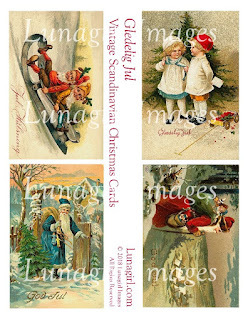 Available for download at Lunagirl.com.